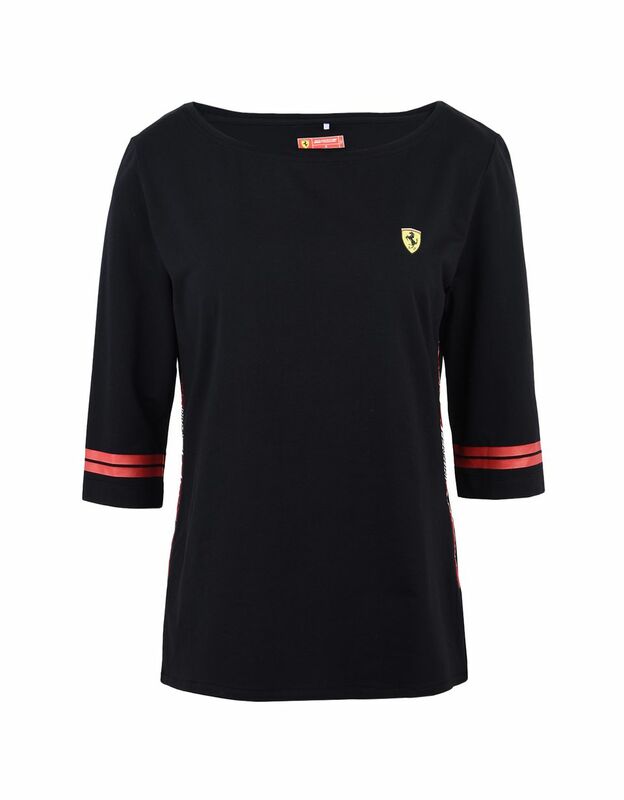 Simple and essential: Wear you passion everyday with the women's Scuderia Ferrari T-shirt,. 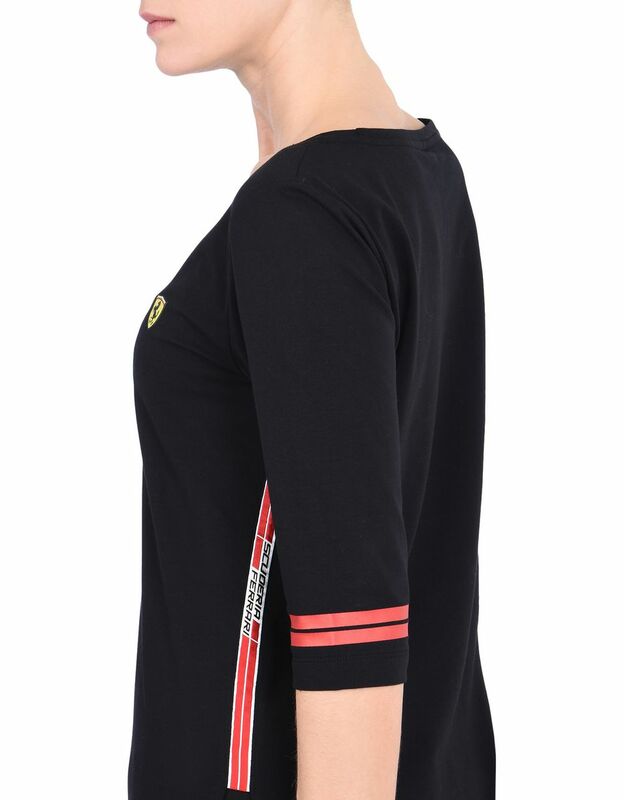 This simple and versatile short-sleeve T-shirt is a spring and summer wardrobe must-have. 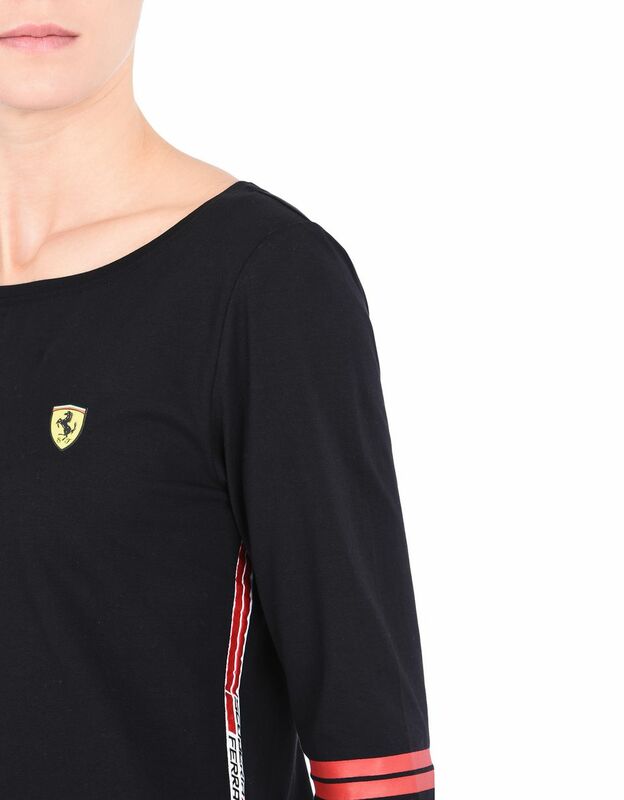 Made of stretch cotton to ensure an optimal fit and offer maximum comfort, this Scuderia Ferrari T-shirt is embellished with the brand new Scuderia Ferrari Icon Tape along the seam of the hips, and contrasting stripes on the sleeves, printed with a special rubberizing technique. 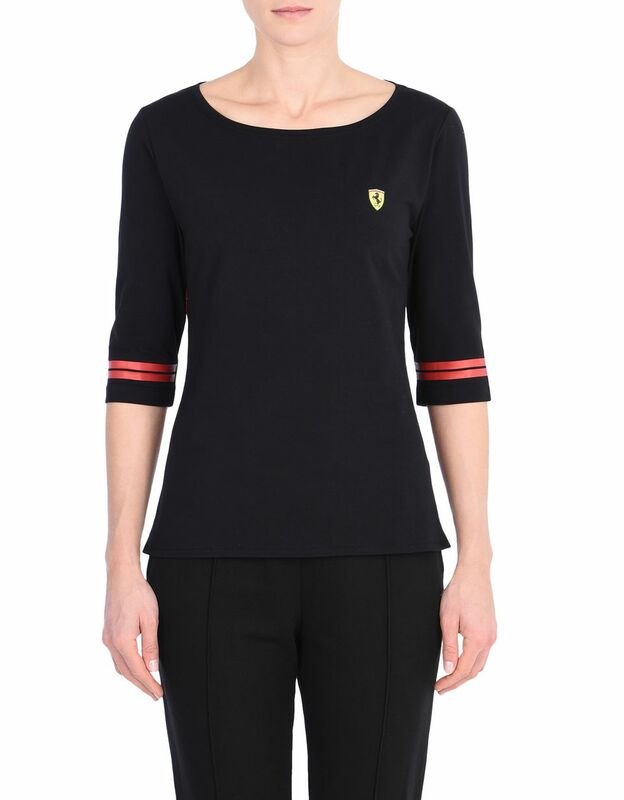 The signature Shield on the breast puts the finishing touch on the women's Scuderia Ferrari short-sleeve T-shirt. 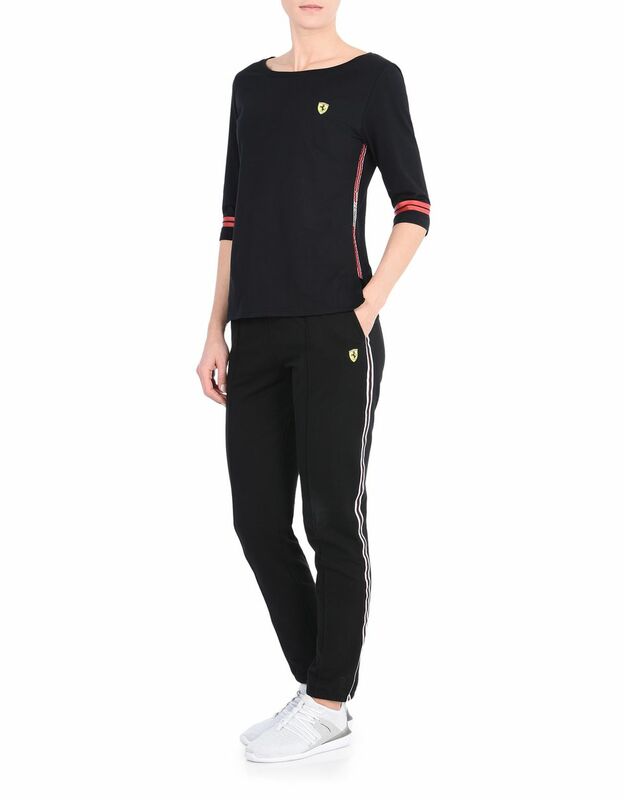 Matches all casual and sporty looks.